French presidential candidate François Hollande took his campaign to a new level with the launch of a webradio show this week, called Radio Hollande. The show is available Monday through Friday from 6 to 7:30 p.m. on Hollande's official website francoishollande.fr . Podcasts can also be found on his Livestream page (below) as well as downloaded on Soundcloud by searching for "Radio Hollande." 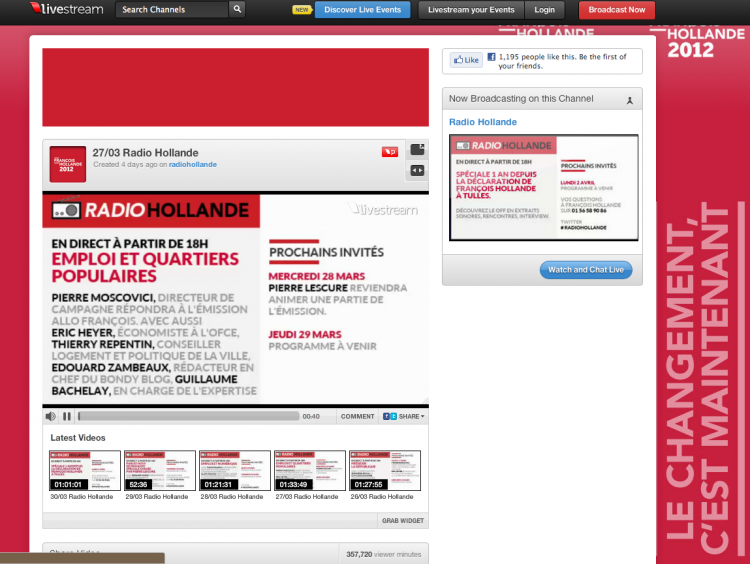 All the programs from François Hollande's webradio show are available on his Livestream page. The program features two hosts: Pierre Lescure, a French journalist and vocal supporter of Hollande, and Fred Musa, a well-known presenter of a musical TV show. The show includes different topics and segments. One of them is called “C’est quoi la tendance?” or What are the trends? (in terms of surveys and polls). There is also “Ça change quoi pour moi?” (What does this policy proposal mean for me? ), which aims to explain candidate’s proposals in further detail. There is also a segment called “Allo François,” (Hello, François). Internet users can leave a messages on an answering machine, and the guest-of-the-day will provide the answers to their questions. The program is also interactive. Members of the audience can tweet their questions too, by using the hashtag #RadioHollande. In the first program, the guest of honor was Ségolène Royal, who was the candidate for the French Socialist party in the 2007 French presidential election (she lost to Sarkozy but she continues to be a prominent member of her party). 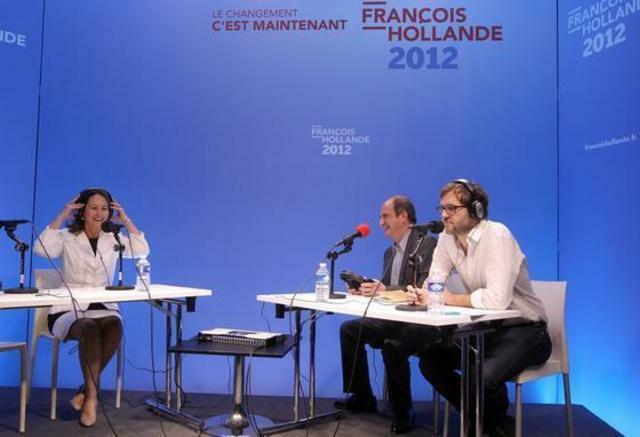 Ségolène Royal (left) was the guest of honor at Hollande's first webradio show. The most original aspect of the show is a segment called "Allo François" (Hello, François). For this part of the program, people are invited to call a specific phone number and leave messages on an answering machine (they can also fill out an online form) . The guest of the day then provides answers to the questions. And, in a date yet to be determined, François Hollande himself will make an appearance to respond to listeners' questions live. The idea of a webradio show is pretty neat though it's hard to say/find out how many people exactly will tune in to the show. 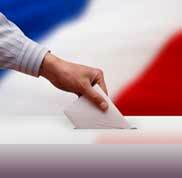 According to LCP, the French Parliamentary Channel, 1000 listeners tuned in to the program's first emission. But it is definitely a smart move. By using the web, rather than the airwaves, as would have been the case had they done a radio show, Hollande’s campaign gets to go around France’s strict and absurd government rules of “equal broadcast time.” These rules call for the monitoring television channels and radio stations, in order to ensure that all presidential candidates receive the same amount of on-air speaking time and coverage. Fortunately, these guidelines do not apply to the Internet. In that sense, the creation of this webradio show is a clever effort from Hollande’s team as it seeks to reach as many new voters as possible in the final stretch of the campaign. This is one of the episodes from Hollande’s webradio (in French). Take a listen.